The other day, I discussed the lively debate in Nuclear Townhall about whether older plants were worth fighting for. Let's face it. 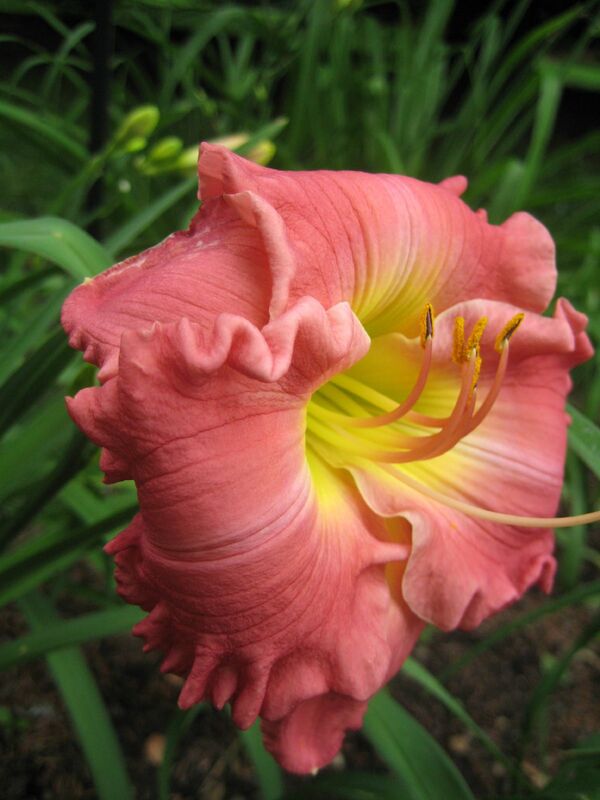 It is awfully tempting to just go with the renaissance, and forget about these older plants. Does it really matter whether a plant is extended for twenty years or not? We are building new plants, after all, and there are new designs and everything is getting better and better...I guess. I don't believe this reasoning. I met my first fake-environmentalist thirty years ago, when I was in geothermal. He said that the Geysers power plant should be allowed to expand only when "all the environmental problems of geothermal were solved." This is a common tactic: we don't want this old thing, with this outdated technology. Let's wait to build with the new, wonderful technology which is just around the corner. If we don't fight for current plants, we play into this method of opposing every plant. My experience with the Energy Amplifier shows the problems with this approach. About a year ago, a group of us from the Coalition for Energy Solutions were invited to a meeting in Brattleboro by three very nice people who were dedicated to shutting down Vermont Yankee. We came to the meeting, of course. The people wanted our support to build an Energy Amplifier at the Vermont Yankee site. This untested type of reactor would use thorium (a good thing) but would require a particle beam to run the reaction, since the reactor would be sub-critical. As a matter of fact, they did not want us to call the system a "reactor." They were quite sincere and hoped this new technology be very safe (unlike Yankee, in their opinion). The new technology would also would burn up the spent fuel from Vermont Yankee, material that they consider to be very dangerous and nearly impossible to handle. However, light water reactors like Yankee are already very safe. 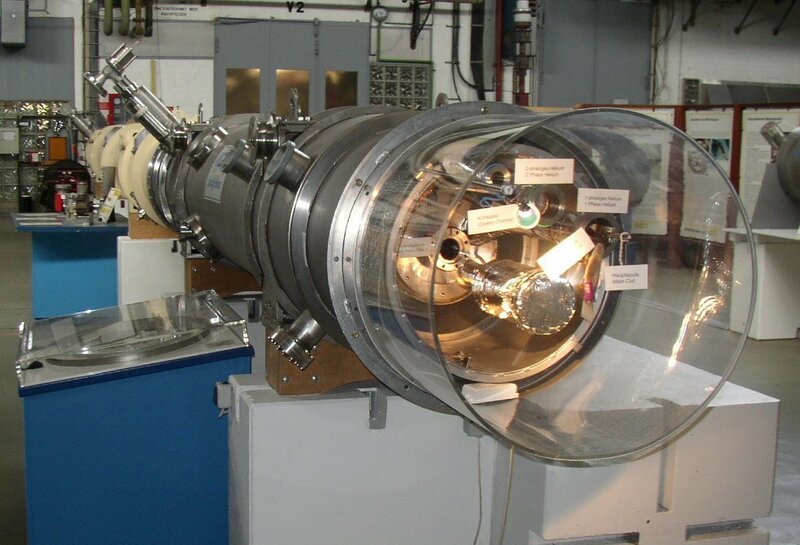 In France, spent fuel is reprocessed without particle accelerators. (I've been to France and seen the reprocessing.) In my opinion, the amplifier proponents in Brattleboro were solving non-problems. Nevertheless, the amplifier proponents were sincere, and we were happy to meet them. The divide between our groups was not very broad. We all had respect for each other and there was no fear-mongering or accusations of lying or anything like that. On the other hand, shutting down an operating reactor to build something that MIGHT work seemed farfetched to me. It's similar to shut-it-down and let's-build-wind-turbines. "Let's close the proven technology and build the untested one." The people supporting this approach may be sincere, but the approach itself is unreasonable. Note: What did I mean by may be sincere? In my opinion, the Energy Amplifier supporters in Brattleboro were sincere, but the geothermal "environmentalist" was just trying to stop the Geysers plant from expanding. An argument for using untested technology is not proof of sincerity or its absence. In my opinion, we have to fight for the future. We have to test and build new types of reactors. But we won't have a good future unless we use the resources the past has given us. Resources like Vermont Yankee, Indian Point, and Oyster Creek. Wikimedia graphic of part of the Hadron Accelerator. Should we fight for older, embattled plants? Perhaps we should simply allow Vermont Yankee, Indian Point and Oyster Creek to close. We should let people see the consequences of losing baseload power. The essay about allowing the plants to be shut down down was written by William Tucker, a strong nuclear supporter and author of the book Terrestrial Energy. Tucker floated the idea that one of the best arguments for nuclear might be-- the bad things that will happen when the plants are closed. Seventeen comment posts answered this essay. Most disagreed strongly with the idea that a few old plants don't matter. Of course, I added my voice to the vote in favor of keeping these plants operating. Neutron Nerd said: And assuming these plants operate reliably, these local challenges can be test cases for our message, raison d’etre and the strength of our business case. Shame on us if we fail, particularly given the dynamics of these states and their dependence on nuclear energy. Dan Yurman pointed out: I disagree that the older plants should be sacrificed to appease critics of nuclear energy. The loss of one plant will set off a domino effect that could cascade through the industry. The reason is once you start closing plants because of age, where do you draw the line. How old is not old enough? Rod Adams added these words: One thing we need to do is figure out a way to help people like Meredith fight for continuing operations against organizations who - so far - appear to have unlimited resources in their fight to shut down the plants. The really amazing thing in Vermont is that the state laws actually put the burden on Entergy to fund the efforts of people like Arnie Gundersen and Peter Bradford. Gwyneth Cravens noted : Indian Point has a dedicated line to the NYC subway system and to government-held buildings. Only fossil fuel combustion could replace that nuclear plant. ...When I say to people who belong to Riverkeeper, which has been actively trying to shut down Indian Point for years, that they’re campaigning for increased fossil fuel combustion, they come up with tortured arguments to the contrary and speak in vague terms about more renewables, like water turbines in the East River. They do not understand what base-load is. All of these posts in favor of operating plants were confirmed (in my eyes) by a cartoon in my local paper this morning. The cartoon was by Mike Marland for the Concord Monitor. It shows "Seabrook" holding a request to extend power generation and also pointing to figure labelled "Vermont Yankee." However, the "Vermont Yankee" figure is leaking, leaning on a cane, alarms are going off (clang clang clang) etc. 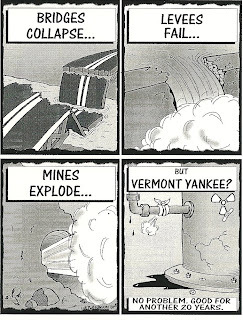 As that cartoon points out, the fate of Vermont Yankee will affect Seabrook. If anti-nuclear activists are successful at shutting down Vermont Yankee, Seabrook and Indian Point will be next. Most of the arguments on the posts were based on the facts that we need these plants for day-to-day life, and that shutting down some plants can lead to shutting down more plants. Do we have some more specific arguments we can make in favor of Vermont Yankee? Of course I have, but I'm always talking in this blog. I want to hear your opinions. 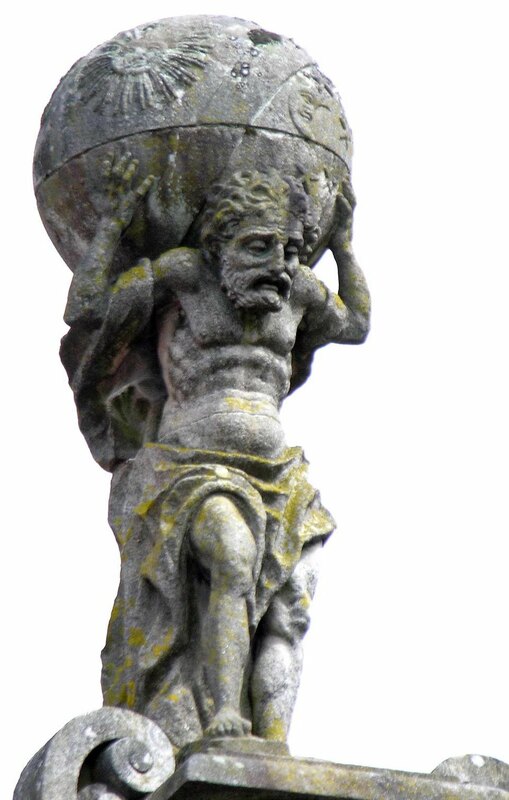 A statue of Atlas holding up the world, from Santiago de Compestela. Should he shrug? Like other nuclear bloggers, I wrote about the dangers of fracking shale for natural gas production. Pro-Nuclear Democrats has an excellent series of posts on this topic. I called my post Natural Gas and A Waltz, and I included a comic song by Tom Lehrer. To my surprise, fracking shale was also discussed on the Daily Show, which was much funnier. This is the first time I have gone head-to-head with Jon Stewart in the stand-up-comedy area, and Stewart won. Of course, he's more willing to be bleeped by his producers. (Okay. That was sour grapes). A sad story about another state over-reacting to tritium, but one we need to know about. Welcome, Nuclear Townhall! I want to start by thanking Nuclear Townhall for mentioning one of my posts in the best-of-the-blogs list on the lower right of the page. And continue by announcing the Seventh Carnival of Nuclear Energy, hosted by Charles Barton at Nuclear Green. I thank Charles for including my posts, and mentioning my "death defying tritium drinking act." Though really, Charles, I can't find enough tritium to be death-defying. I'll just go eat a banana or something. Intellectually, this Carnival is truly a feast. Links to posts on spent nuclear fuel, and a lively debate on Small Reactors, started by Dan Yurman and followed by the Carnival from blog post to blog post. Barton did a terrific and thoughtful job of putting this together. 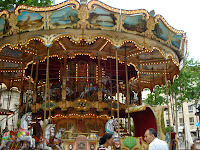 I took this photo of the carousel in the main square of Avignon, France. Reading my fellow-bloggers posts recently, I was struck by the fact that I spend almost no time talking about fossil fuels. Jason Ribeiro at Pro-Nuclear Democrats took on natural gas, and Nuclear Fissionary compared coal to nuclear. I did no comparisons. I'm changing that, but not in a depressing way. We'll have music and maybe dancing while we discuss fossil fuels. Even though the Sierra Club has come out for natural gas, and the CLF has invested heavily in natural gas, well, natural gas has its problems. Most natural gas is found in sandstone formations, but the big excitement now is finding gas in shale formations. Fracking shale for natural gas means injecting a nasty mix of chemical underground to open up paths for the gas to travel to the gas wells. These chemicals can contaminate aquifers that are used for drinking water. The gas companies will not reveal which chemicals are being injected. A recent Scientific American article explores some of the problems. The City of New York has set a moratorium against fracking beneath its watershed lands. Is fracking shale really a problem? In many cases, I think that concerns about energy technologies are overblown. There is no free lunch, no form of energy without its drawbacks. Furthermore, people have stimulated ordinary (sandstone-based) gas wells with injection for a long time. Oil and gas wells have been stimulated with hydraulic fracturing since 1947. The technology should be well known and (hopefully) controllable. Perhaps the outcry against fracking the Marcellus shale is another environmental-scare-of-the-month story? I don't think so. The Marcellus shale is a shale, not a sandstone. Sandstones are the usual reservoir for oil and gas reserves. Fracking shale is not the same thing as stimulating a traditional gas well. In my opinion, shale is our friend. Sandstones have high porosity and high permeability. Shale can have high porosity (holes) but has low permeability (few connecting holes). Therefore, shale is the barrier between different types of water-containing layers. For example, a groundwater aquifer may contain agricultural run-off and be unsuitable for drinking water. However, that shallow aquifer is usually separated by a layer of shale from a deeper drinking-water aquifer. The impervious rock that defines an artesian aquifer is usually shale. If you fracture sandstone, you can hope for a layer of shale to protect local aquifers from the fracturing chemicals. If you fracture shale, on the other hand, you can expect no protection of aquifers. As a matter of fact, you are destroying that protection by making the impermeable shale permeable.To fracture shale, you have to add permeability to a rock that basically doesn't have any. It's harder than stimulating sandstone. You have to try harder, blast harder, use more chemicals. All that stuff. All in all, fracking shale is dangerous for aquifers. It's a good idea to have a moratorium on fracking the Marcellus shale. When anti-VY activists do their song and dance how we don't need VY, they often say that we have recently found lots of local natural gas. They are talking about shale. They are talking about possibly destroying our aquifers. It's kind of like the Tom Lehrer song about Wernher Von Braun. In this song, Werner explains that the consequences of his rockets are "not my department." Once Vermont Yankee is closed, who cares where the energy comes from? From the point of view of an anti-VY activist: "It's not my department." Using Marcellus shale to substitute for VY will be a problem for everyone in Vermont, New Hampshire, and Massachusetts. It won't be a problem for the anti-VY activists. It's not their department. It's been an exciting two days at Vermont Yankee. Yesterday Vermont Yankee managers held a meeting to release a report on the root cause analysis of the tritium leak. A blocked pipe was the main cause of the leak, and more aggressive groundwater monitoring should have been implemented. Last night, the NRC held a meeting about the 2009 operations evaluation of Vermont Yankee. They gave the plant a clean bill of health, while local activists claimed it was run more badly than a hot dog stand. I admit to being annoyed when a long-time activist is identified as a person who simply "lives near the plant." They mostly live about twenty miles away in Massachusetts. Still, the weather is far too lovely for me to be angry about this. But is it earthquake weather? Today there was an earthquake, felt from Canada (the center) to New York City. Due to the earthquake, Vermont Yankee had to file a report to the NRC stating that an "unusual event" had taken place. VY stayed at full power. As an article today notes,, the plant suffered no damage. Lots of excitement, but the plant is running, the earthquake didn't affect it, and the tritium leak is over. Perhaps we can just enjoy the long days of summer for a while. My daylilies are doing well. Thank you for asking. Tomorrow night, June 22, at 6 p.m., the NRC will host its annual review meeting for Vermont Yankee. The meeting will be held in Brattleboro Union High School, and there will be an informal meeting starting 4, with the formal meeting starting at 6. Vermont Digger published the NRC press release, and you can also read the official yearly letter from NRC. Basically, everything at the plant is code green (just fine) as you can see on the NRC website. Also, as I noted in a previous post, the NRC Demand for Information was completely satisfied. 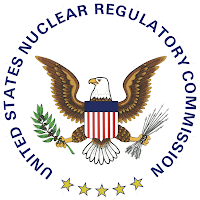 The NRC report on its Demand for Information includes piping diagram reviews, staffing reviews, and whether Vermont Yankee had given the NRC complete and accurate information. The NRC was satisfied with all aspects of its Demand for Information review. Is The Meeting Going to Be Dullsville? The meeting should be dull. Everything is in order at Vermont Yankee. Everything is green and good to go. Nothing is on the side of the anti-s. Vermont Yankee is up and running well, and the NRC is here to tell about it. The anti-s are left to pound on the table. I can understand why the NRC would choose to hold a closed meeting. The public meetings are not just contentious, they can be dangerous. In spring 2009, local activist Sally Shaw attended an open meeting with NRC and Entergy. She walked up to the table and spread manure on papers and into water glasses. Letters-to-the-editor applauded her actions. In a separate incident about Vermont Yankee, the PSB building was attacked with deer-urine. I went to an April 19 meeting held by the NRC in Brattleboro. Signs were held up, and there was a bit of shouting, but the presence of several police officers near the front of the room discouraged any more aggressive activity. I will be there. Howard Shaffer will be there. The anti-groups will be there in full force, I expect. I have to hand it to them: they are a dedicated bunch and quite happy to come and pound on the table together. If you are pro-nuclear, come and support Vermont Yankee! I hope to see you at the Brattleboro High School Auditoriium tomorrow night. My friend Guy Page of Vermont Energy Partnership wrote this op-ed piece, which I am happy to post as a guest blog. Here in Vermont, we face the constant question: if Vermont Yankee closes down, will windmills, solar installations, cow power spring up to take on the electrical load? As you may have noticed from my earlier posts about the Coalition for Energy Solutions report Vermont Electric Power in Transition, the answer is No. Guy Page wrote a report detailing sources of renewable energy in Vermont, and sources planned for the future. His report is fact-based and hopeful. Still, if you ask the question: "Can Renewables Power Vermont?" ---the answer is still No. Here in Vermont and across the nation renewable energy sources are a hot topic of discussion. And as Vermont works to hammer out our energy future, renewable energy sources will certainly play a growing, important part. Today, however, the sources categorized as renewable by the 2009 American Clean Energy and Security Act (ACES), including wind, solar, biomass, methane, certain hydro, and geothermal, among others, meet a small fraction of the nation’s energy needs. So what role do renewable energy sources currently play in Vermont, and what is their potential in the next five to ten years? The Vermont Energy Partnership analyzed these and related questions in a recent report which inventories current and pending renewable power sources, both in-state and in the immediate region, as well as the potential for energy efficiency and conservation. To ensure that the lights, TV’s, computers and refrigerators stay on at our homes and businesses Vermont requires output of 700 megawatts (MW) at average demand, 1000 MW at peak demand (one megawatt is enough to electricity for approximately 800-1,000 average homes). The report finds that at present, in-state renewable sources generate about 84 MW. Seventy MW comes from two woodchip burning plants, Burlington’s McNeil and a facility in Ryegate. Conservation and in-state hydro power make notable contributions now, but have modest growth potential in the near future. While many factors could change the amount of renewable power the state has in the future, the report also finds that using reasonable and practical assumptions, new renewable power generation may increase by 95 MW in the near future, provided the state’s new Feed In Tariff program performs superbly and four major, as-yet-unbuilt wind farms come online and generate electricity as expected. In Vermont terms, 95 MW is a lot of new electricity. Once online, it would represent almost a tenth of our peak load. Yet it is clear that in the foreseeable future in-state renewables and efficiency cannot begin to replace either Hydro-Québec (which the state recently designated a renewable energy source) or Vermont Yankee, the state’s two largest electricity providers which each provide about a third of Vermont’s electricity, absent an unexpected and unprecedented change at all levels of policy making. The Feed-In-Tariff (FIT) program sets a cost-based price for renewable power projects of 2.2 MW capacity or less. Once a FIT project is built and approved, Vermont utilities are obligated to buy the power at the approved, above-market rate. Vermont law caps, for now, the combined capacity of all FIT generation at 50 MW. Because capacity always exceeds output, particularly for renewable projects, 25 MW of FIT output is a prudent and perhaps optimistic estimate. Although biomass generation produces most of the current in-state renewable power, costs less than solar or wind, and supports the state’s logging industry, its growth appears uncertain. The Ryegate contract may not be renewed by utilities after 2012. Several new proposals are in preliminary stages, while other, more mature proposals have hit significant snags. The Vermont Energy Partnership recognizes that any inventory of Vermont’s electricity generation is a snapshot and a work in progress. The energy industry is dynamic, and with the push to support renewable energy sources at the federal, state and local levels, it is possible that additional capacity will flourish. But given our established needs and the likelihood of significant additional demand for electricity after the recession, we cannot afford to put all of our eggs in one basket, especially a basket that has yet to prove its ability to meet our needs. Vermont cannot depend on renewables and energy efficiency alone to meet our current, or future, energy needs. Maintaining our hydro and nuclear power sources provides two important factors in allowing Vermont’s renewable energy capacity to grow: time and money. Time will come from securing long-term power agreements with these power producers, and money will come in part from the Vermont Clean Energy Development Fund, which benefits greatly from the operation of Vermont Yankee. The renewable energy industry is dynamic, exciting and will certainly play a role in meeting Vermont’s energy needs. But like any project, we must factor into our energy discussions the limits, costs and long-term potential. Guy Page is VTEP communications director and author of the above-mentioned report. VTEP (www.vtep.org) is a diverse group of more than 90 business, labor and community organizations and leaders committed to finding clean, affordable and reliable electricity solutions to ensure Vermont remains a great place to live and work. The membership includes Vermont Yankee owner Entergy. Canadian Tritium Study: What Does It Mean for Vermont Yankee? A study of tritium releases and health effects was recently issued by the Canadian Nuclear Safety Commission. 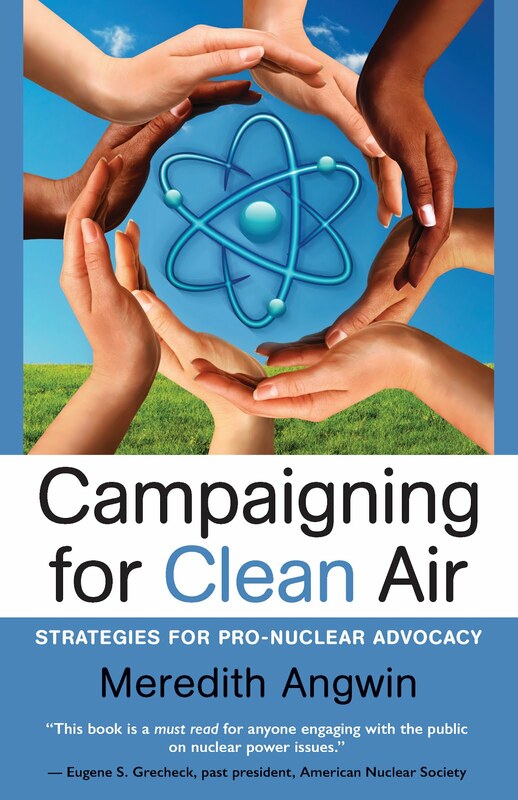 The final report contains a compendium of studies undertaken between 2007 and 2010, and includes information on the fate of tritium in the atmosphere and biosphere. The entire study is available, and the Studies Project Synthesis Report is particularly useful. The report was issued this month, and I thank my friend in French Canada for sending me a link to the study. I also thank him for continuing to be on speaking terms with me, after I took a recent trip to France and he didn't. Before I begin the somewhat heavy work of summarizing the Canadian tritium study, I want to note that that the Sixth Carnival of Nuclear Energy is up at NEI Nuclear Notes. Where else can you read about climate, AND read an excellent deconstruction of the nuclear-equals-proliferation argument AND see a recent picture of Chernobyl's control room? 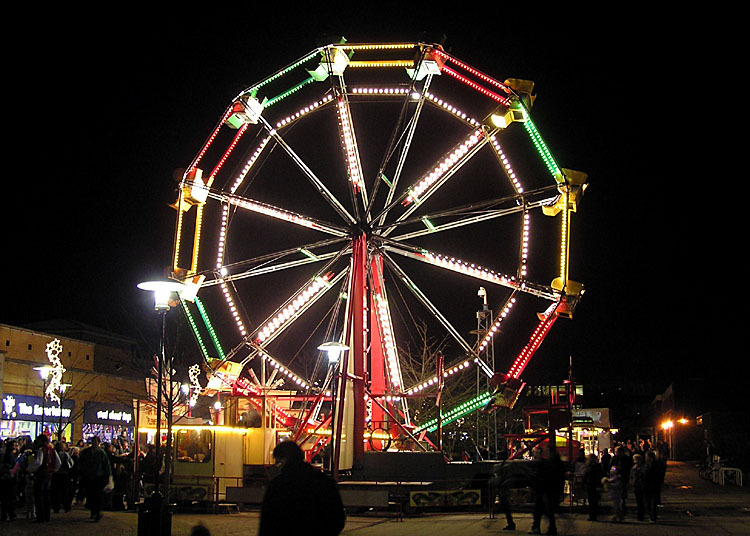 Follow the link to the Carnival. Carnivals are fun. Also, I want to include a link to a recent Nuclear Fissionary post, comparing the results of coal environmental effects (like ash pond spills) with tritium discharges at nuclear plants. Thanks, Fissionary! Page 12 of the report shows that dosages to members of the public from people living near Canadian nuclear generating facilities varied from 0.00045 to 0.000236 mSv/year, well below 1 mSv. Some other installations, such as Chalk River Laboratories, had higher dosages for people in the area, due to old spills. All dosages were orders of magnitude below any doses known to cause health effects. As a bit of background, one should note that tritium releases from Canadian types of reactors (which use heavy water) are orders of magnitude higher than releases from U.S. reactors. Rod Adams post on the tritium release from Vermont Yankee has the most readable description of the overall situation. Adams notes that Pickering B (a Canadian power plant) is allowed to release 13 million curies of tritium (liquid emissions) a year, though the plant only releases about 5000 curies. In contrast, an estimate of the entire tritium-leakage from Vermont Yankee was 0.35 curies. In the Canadian case, the relatively high tritium release allowances do show up as measurable tritium in drinking water of 2 to 20 Bq/L (54 to 540 picocuries/L) while background is about 2 Bq/L (54 picocurie/L) (page 14). Some groundwater monitoring wells at facilities (not power plants) are much higher, up to 3,000, 000 Bq/L. (page 11) These waters are not used for drinking, and they are not causing similarly high numbers in local aquifers. 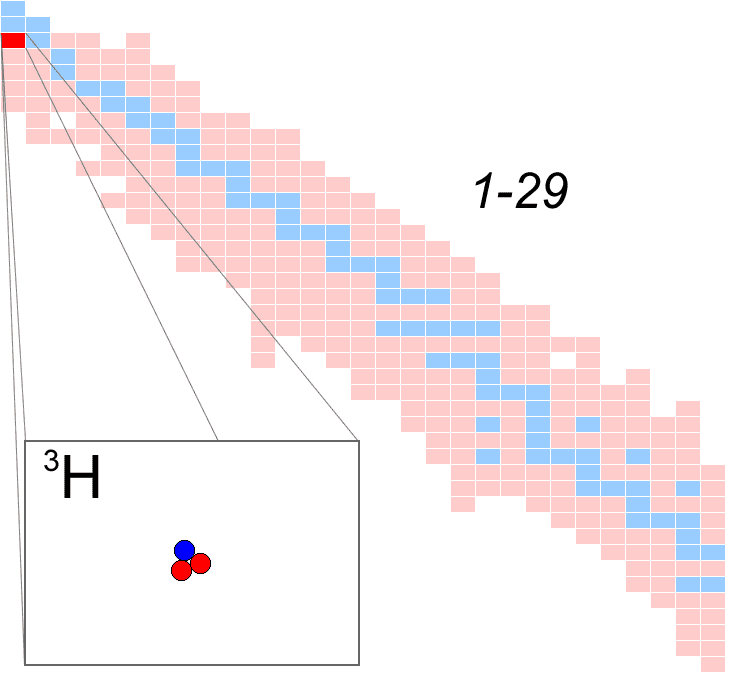 There was some new information about organically bound tritium. Organically bound tritium in soils and vegetables was higher than expected, as far as I can tell from reading the report. Page 22 of the report says that near nuclear sites, the ratio of organically bound tritium (OBT) to HT (tritium in water) in plants was 2 to 3, and for animals it was 10. This ratio also showed a lot of variation. The report also notes (page vii) that people consuming local produce (near Pembroke) received less that 0.004 mS per year from produce, a negligible amount, even taking into account organically bound tritium. • In Canada, doses to the public from tritium releases from nuclear facilities are far below the public dose limit. Doses from tritium exposures among people living near Canadian nuclear facilities are in the range of 0.0001 to 0.1 mSv/year... These doses are not only well below the limit, but also are negligible compared to natural background radiation, including that from radon (approximately 2 to 3 mSv/year depending upon geographic location). However, the Canadians also recommended that the drinking water limits on tritium be changed to 100 Bq/L, or 2700 picocuries per liter (p ix). There will undoubtedly be those who will seize on the lower tritium limit suggested by the Canadians and think it is relevant to something-or-other about Vermont Yankee. However, no tritium has been found above background or detection level in any water near the VY plant, so limits of 2700 picocuries per liter (suggested by the Canadian study) or 20,000 picocuries per liter (current NRC and Canadian rules) don't matter, in terms of plant operation. Vermont Yankee is a zero-discharge plant. Even during the leak, it discharged only undetectable amounts of tritium. Therefore, guidelines of 2,700 picocuries or 20,000 picocuries per liter allowed in drinking water make no difference. The Canadian guidelines are interesting, but irrelevant to people in Vermont. I believe the Canadians did this study and reached these conclusions because of historically high tritium discharges at some of their research facilities. If you read the report, table by table and graph by graph, you can see that there are some facilities that have discharged too much tritium and need some attention. Of these facilities, the Chalk River research area leads the list. I think this study was the Canadian Nuclear Safety Commission's way of insuring attention to these areas. In two separate actions late yesterday, the NRC exonerated Vermont Yankee of wrong-doing. The first action was quite specific. The review by the NRC was conducted by a team of 19 NRC regional and headquarters staff members who participated in onsite inspections, personnel interviews and document reviews. 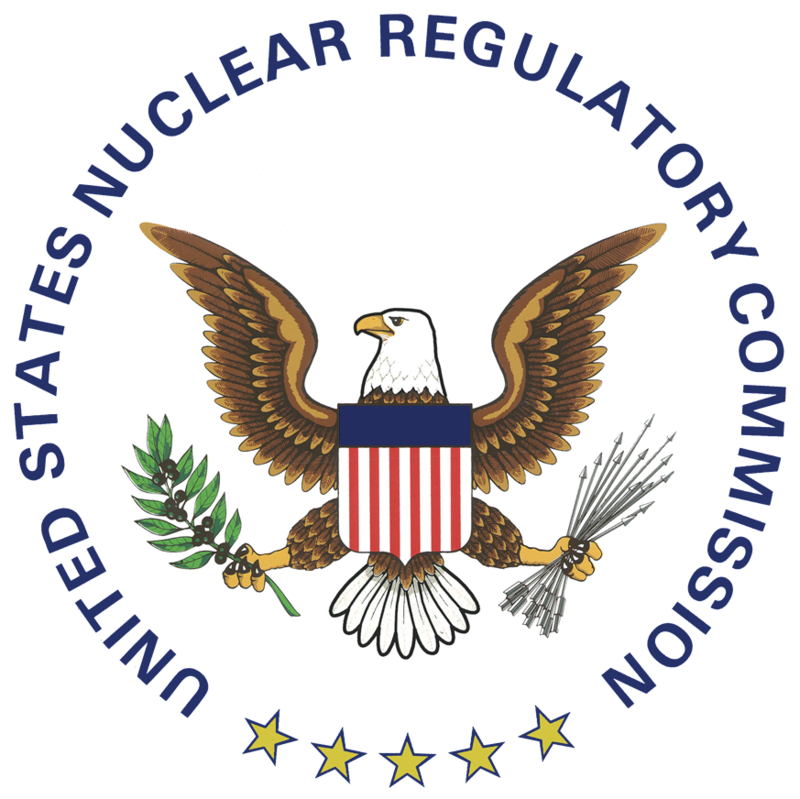 The conclusion of the review was that Information given by Vermont Yankee personnel to the Nuclear Regulatory Commission in the nuclear power plant's license renewal application "that was material to the NRC and/or NRC-regulated activities" was complete and accurate, according to a document released by the NRC on Thursday. Another conclusion was that: The team did not identify any discrepancies with Entergy's accounting of buried and underground piping on-site," stated the NRC in a letter to Entergy issued on Thursday. The NRC press release is available at Vtdigger. The press release also contains an announcement of the NRC meeting in Brattleboro, on Tuesday June 22. The meeting will take place at the Brattleboro Union High School, starting with the open house at 4 p.m. and a more formal session at 6 p.m. I plan to attend. The second NRC action was more general. In a separate and more general investigation of tritium leaks at nuclear plants, the NRC concluded that these leaks had been dealt with appropriately. This was an internal NRC investigation of how well the NRC is performing its oversight tasks. I think the investigation conclusions are correct: the NRC is reviewing tritium leaks in a reasonable and timely fashion. I also expect the anti-nukes will say: "Well, for Pete's sake, of course the NRC says it is doing great. What did you expect the NRC to say about its own activities?" I don't agree with that statement, but it is not totally unreasonable. Therefore, in terms of Vermont Yankee, this leaks are treated appropriately announcement is far less important than the announcement that the Demand for Information is satisfied. Vermont Yankee told the NRC the truth, including about the underground piping. Since VY gave its Vermont regulators the same diagrams that it gave the NRC, my conclusion is that VY did not intentionally mislead its Vermont regulators. I have explained this in painful detail in several posts, starting with my lengthy post on the piping diagrams. However, in these announcements, NRC was careful to point out that the NRC only evaluated information that the NRC received, not information that Vermont regulators received. (Aside. Has anyone noticed that information to NRC and information to Vermont regulators was the same information, same diagrams, etc? Or is it just me noticing this? End Aside.) Therefore, the Vermont Attorney General is still investigating the possibility that VY deliberately lied under oath. Again, according to Bob Audette of the Brattleboro Reformer: The Vermont Attorney General's Office is currently investigating whether Yankee personnel knowingly gave false information during a sworn hearing. An assistant attorney general told the Reformer his office has no comment on the progress of the investigation. 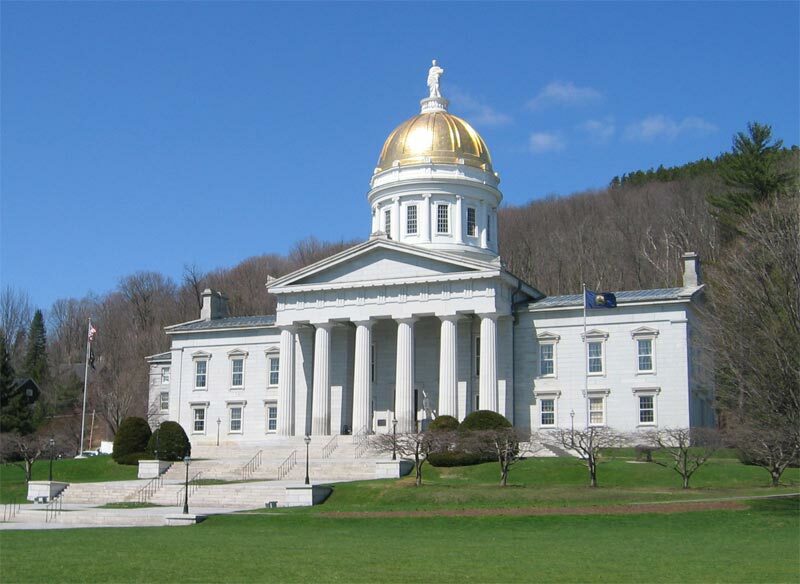 In other words, fired by a kind of moral hazard of the various legislatively appointed committees (the more they investigate, the more they get paid), the Vermont AG and various legislative bodies will continue their investigations. They continue to investigate, long after the cows have come home, and long after it is clear that Vermont Yankee had no intention to mislead. Let me address the AG office and the oversight committees: The cows are back in the barn. To mix metaphors, the gravy train of paid investigations should stop running. Recently, the Public Service Board awarded various intervenors (VPIRG and others) financial restitution to be paid by Entergy. The basis for this award was that Entergy had supplied misleading information about its piping, causing the intervenors to be forced to spend money on research and attorney's fees on these issues. However, we further conclude that reasonable attorney's fees and costs of VPIRG, NEC and WRC subsequent to the disclosure of the leaks, and that were and will be incurred as a result of Entergy VY's provision of incorrect information, should be reimbursed by Entergy VY. ..... there is a clear causal connection between the misrepresentations made by Entergy VY and additional expenses that WRC, VPIRG, and NEC would incur, and in fact have incurred, in this docket.....The affidavits supplied by NEC show that its staff person, its technical consultant, and its attorney expended a considerable number of hours to address matters in Docket No. 7440 directly related to the Entergy VY misrepresentations. For example, NEC's technical consultant, Raymond Shadis, affirms that between January 7, 2010, (the date on which the existence of the leaks was publicly disclosed) and March 10, 2010, he spent 172 hours on Docket No. 7440 issues related to piping, soil and decommissioning. I am not a lawyer. and I don't know why intervenors are paid if they have to do more work due to misleading statements by one of the parties. I also can't get too excited about this. Entergy won't decide to shut down the plant because they had to pay Raymond Shadis. I don't think this ruling is fair, but I also don't think it's a big deal. What Were the Real-Life Consequences of the Entergy Statements? Without going through the entire history, from "They Lied" at the potluck to the legal report showing that Entergy statements were careless but unintentional, let's just look at a hypothetical case. Let's say Entergy had said: "Yes, we have some underground piping that carries water with radionuclides. It is the piping that takes the non-condensable gases and some water vapor from the turbines to an advanced condenser. The condenser is also a heat exchanger. The piping returns the condensed water to the plant." Now, since I noted before, the service water is more of a reliability problem than this off-gas system, this statement might have changed nothing about the review process. On the other hand, it might have changed the inspection protocols. Entergy could have been required to open up the famous tunnel and inspect the pipe at that point. Let's say Entergy had been required to do so, and let's say they discovered the leak before any tritiated water touched the soil. So what? A great deal of time and trouble would have been avoided. However, in this scenario, the same amount of tritiated water would have been detected in the river or the aquifers below the plant. No tritiated water. Zero. Nada. Below the detection limits. In other words, Entergy's misstatements gave them a black eye and cost them money, but made no difference to the environment. I don't know where to start. The constant chorus against Entergy of "tritium is getting into the river and nobody can fish in it now." (No detectable or significant amounts or tritium got into the river, and there is no problem with the fish.) Or "They lied under oath." (No, they didn't.) Or "Oak Ridge Associated Universities does Junk Science" (this was a pre-tritium accusation). As I pointed out in a recent post, the lies don't stop there. Shumlin, Smith and Klein are quite happy to describe radioactive strontium as "attacking the bones and teeth" of Vermont's children. They describe the tritium leak as Vermont's BP, an environmental disaster! What Are the Real-Life Consequences of the Lies of the Anti-Nukes? And what consequences have all these anti-nuke lies had? They have been effective at turning public opinion against the plant, which may have to shut down. I hope not. Still that has been the purpose of the constant accusations and street theater. Of course, they want to shut down the plant, so they like these consequences. 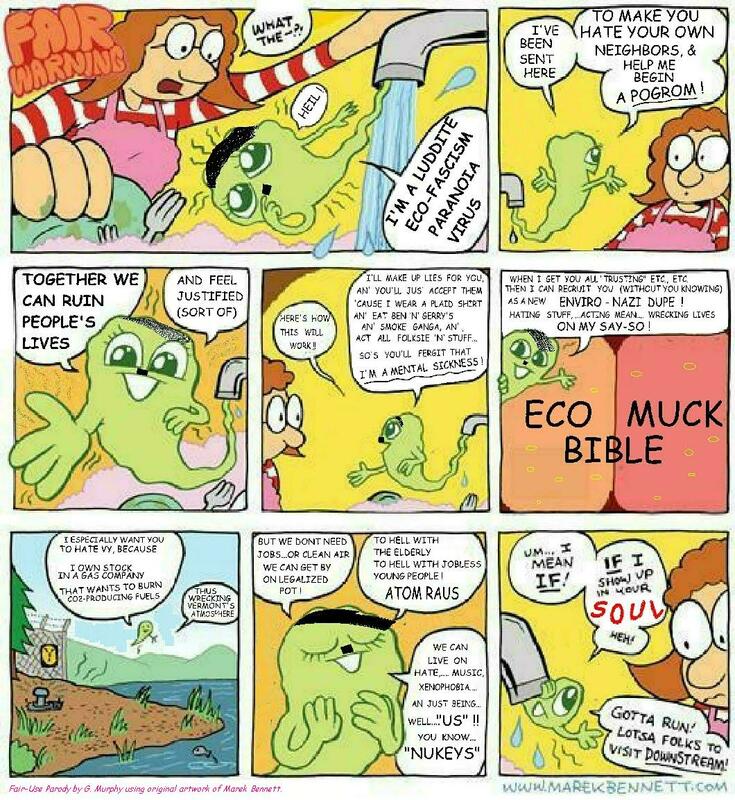 The other real-life consequence is that the constant lies about the amount of radioactivity released into the environment, and its effect on rivers and children...these lies are destroying the Vermont brand. As I noted before, if I lived in the Midwest and saw all the ranking Vermont legislators talking about all the radiation and Vermont's BP and children's teeth...I would never buy a Vermont product again. The lies of the anti-nukes will cause people to suffer. The anti-nukes don't care about laying off the VY workers. They publicly malign Vermont farmers and food products and destroy the Vermont Brand. All they want is a hobby horse on which they can ride to election. Scapegoating is an age-old technique, and the anti-nukes are using it. For these lies, the people of Vermont will end up being punished. A word about the cartoons. If you remember, I suggested that pro-nuclear advocates need some political cartoons. I mentioned the Marek Bennett cartoons, Mimi's Doughnuts, some of which I hate (It's Tritty) and some of which I love (Same Words, Different Eras). 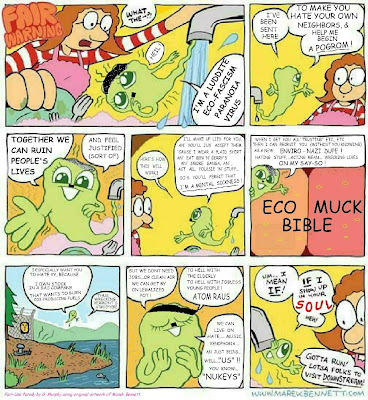 George Murphy (no, I don't know if that is a pen name) immediately sent me links to Vermont Yankee cartoons that he derived from the original cartoons. Since then, Murphy and I have had quite a correspondence. Since his cartoons are parodies or extensions of political cartoons, they are free and protected speech. So the question arose: would I run them? They are more hard-hitting than my usual posts, but that is what cartoons are, after all. Hard-hitting. Visceral. Perhaps too honest. Murphy has more of these. Let me know what you think. Note: After comments and email exchanges with the original artist (Marek Bennett) the attribution at the base of each cartoon now reads: Fair Use Parody by G. Murphy using original artwork of Marek Bennett. I thank G. Murphy and Marek Bennet for resetting the attributions to everyone's satisfaction. It was no surprise to me that all the Democratic candidates for Vermont Governor are determined to ensure that Vermont Yankee closes down by 2012. If nothing else, I heard them all speak at the Race to Replace in Montpelier in late April. The Race to Replace (replace Vermont Yankee, that is) began the same day that my Coalition For Energy Solutions group gave a press conference releasing our report on Vermont Electric Power in Transition. Listening the the candidates was disheartening: they ranged from attack-dogs like Shumlin to "the renewable future's so bright I have to wear shades" words of Matt Dunne. But they were all eager to shut down Vermont Yankee. Yesterday, the Burlington Free Press published an article asking the candidates a simple question: "How are you going to replace the jobs lost if Vermont Yankee closes down?" Comment & Debate: Vermont gubernatorial candidates offer ideas to replace jobs if Vermont Yankee closes. The amount of hot air put forward by the Democratic candidates on this question is truly astounding. Matt Dunne wants bonds for efficiency projects. He is willing to admit that efficiency costs money. Deb Markowitz believes in HydroQuebec. Doug Racine gives the usual set of solutions: conservation and renewables. He likes what California did with SMUD. They put up solar panels right on the site of the retired reactor. And by golly, when the sun shines, they have two megawatts of power. (Rancho Seco was 950 megawatts). Of course, you can have this sort of terrific success in sunny California. Here's a video about Rancho Seco and its solar installation. Shumlin is concerned that VY will go into SAFESTOR and not immediately provide decommissioning jobs. He plans to prevent SAFESTOR from happening. Shumlin apparently has not read the Memorandum of Understanding (MOU) approving the sale of VY to Entergy. Article 9 of the MOU specifically allows SAFESTOR. Martha Abbott, Progressive Democrat, supports Sarah Edwards (long-time anti-Yankee representative) in her hope that Entergy employees will be retrained for "comparable jobs." Abbott and Edwards apparently believe that the workers lack training, not that Vermont lacks "comparable jobs." Abbott also warns against forces that "pit the VY workers against the environmentalists." Oh dear. Could that really happen?According to Abbottt, it IS happening, due to a conspiracy between Entergy and the Burlington Free Press to cause animosity between the two groups. Susan Bartlett believes SAFESTOR will create jobs (how about Bartlett and Shumlin having a little talk?) and also hopes for a biomass plant on the site. They also interviewed Brian Dubie, Republican candidate for Governor who simply hopes to encourage economic growth by licensing and tax policy. He doesn't have a quick fix. Of course, he also supports the plant continuing to operate. It's a long article, full of sound and fury, signifying little. News flash: Three unions have endorsed Doug Racine for governor. The State Employee's Union endorsed him yesterday. I am not sure if that means Racine is the Democratic front-runner. Reading his comments, he seems the most moderate of the Democratic candidates about Vermont Yankee. He speaks about costs and plant management as reasons to close the plant down. He doesn't rant about tritium endangering workers and the public, etc. I have learned to be grateful for small favors. Areva is a French company that builds some of the most advanced nuclear steam supply systems in the world. Areva also has facilities and skills in every phase of the nuclear fuel cycle, from mines to enrichment to reprocessing to waste vitfrication. For example, Areva supplies recycled MOX fuel rods to several countries, including France, Japan and Germany. Going to France and visiting the Areva facilities was like visiting the kind of future that I hope will come to this country. High tech nuclear facilities, wonderful food and wine, fast electric trains speeding through the countryside. Outdoor cafes, espresso and conversation. France has a "brand," and France is easily as proud of its brand as Vermont is proud of its own brand. In wines, the whole concept of appellation d'origine contrôlée came from France, starting with Côtes du Rhône in 1937. This branding helped make French wines world-famous. Or perhaps you might think about food. Has there ever been a cookbook as famous as Mastering the Art of French Cooking? Though Germany has excellent food and amazing pastries, can you imagine a book called Mastering the Art of German Cooking? And of course, "We'll always have Paris." 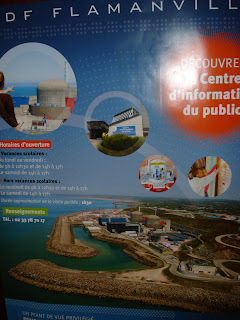 The French are committed to educating people about nuclear. 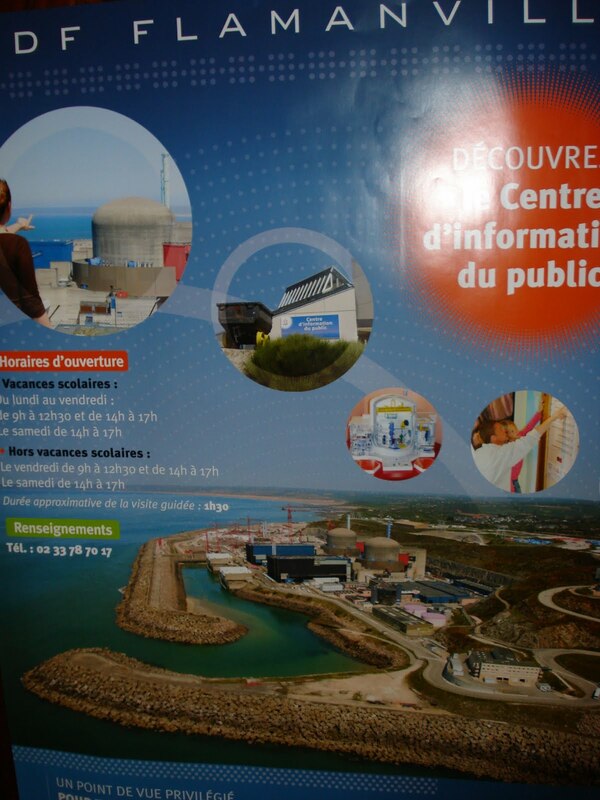 The picture at the head of this blog is a poster advertising the hours for touring the Flamanville PWR and EPR plants. This poster was in the waiting area of a restaurant. Double-click on the graphic to read the plant tour hours. Tour hours are described for when schools are in session and when they are on vacation. The French clearly expect children and families to tour nuclear facilities. Cows and sheep graze near the nuclear sites and produce milk for the famous French cheeses. In the south of France, vineyards are just over the fence line from the nuclear facilities. All the facilities have ISO 14001 environmental certifications and do extensive environmental monitoring. The wine and cheese are not radioactive. Nuclear energy is part of the French brand. Despite the excitement and street theater of nuclear hearings in southern Vermont, Brattleboro anti-nuclear attitudes are not doing the French brand any harm. 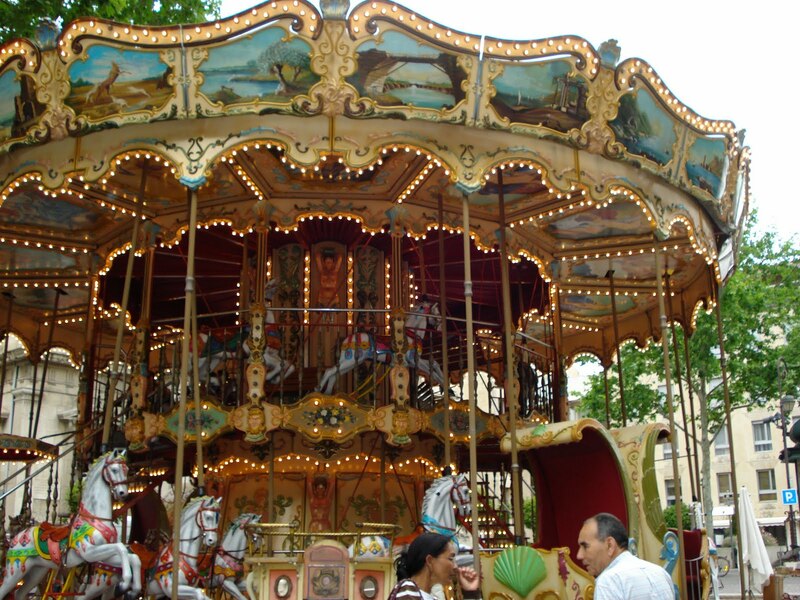 People still visit the French Riveria, the Loire Valley, the Normandy beaches, and Paris. They eat French foods. However, anti-nuke attitudes are destroying the Vermont Brand. The Vermont Brand is to some extent, a copy of the French brand, adding maple trees and subtracting vineyards. Vermont aims to have high-quality food products and an enviable way of life: clean air, trout streams, unspoiled forests. Vermonters make a concerted effort to be sure Made In Vermont is a symbol of quality for foods. As I pointed out in a recent post, however, some forces in Vermont are trying to destroy this brand for their own political gain. Shumlin called the ongoing leakage of tritium, strontium-90, cesium and other radionuclides as the "greatest environmental crisis in Vermont's history." "This is Vermont's BP," said Shumlin, referencing the oil spill in the Gulf of Mexico due to an offshore drilling operation gone awry under the watch of British Petroleum. These recent remarks are not the first such attack on Vermont's brand. I was at a meeting in the fall where Tony Klein, head of the Vermont House Energy and Natural Resources Committee, stated that the existence of Vermont Yankee on Vermont's soil could destroy the Vermont brand. Whatever people may think of Vermont Yankee and Entergy, the fact remains that the tritium leak was a very small amount of tritium, no hazard to health, and undetectable in any water outside the plant boundaries. There was some strontium in soil near the leak. This soil would fill about two pick-up trucks, and is being removed. The existence of these leaks cannot destroy the Vermont brand. However, the rhetoric of our politicians might well destroy the brand. If I lived in the Midwest, and saw a TV show in which Vermont leaders were comparing the tritium leak to a massive oil spill, and were describing strontium as "attacking the teeth and bones of children" in Vermont, I would come to the conclusion that Vermont was a radioactive wasteland. I would probably avoid Vermont-made products, and buy New York cheese and New Hampshire maple syrup in the future. Perhaps our leaders could learn how to attack Vermont Yankee without attacking Vermont's livelihood. Or is that too much to ask? Perhaps the hyperbole of massive spills and children being attacked is just too good to resist. Despite the consequences to the state of Vermont. As I said in an earlier post: Shumlin, Smith and Klein are crazy. It's the only possible explanation. I wasn't the only blogger in France. Rod Adams has an excellent overview of our trip on his blog. Stephen Aplin compares the situation in France to the situation in Canada in his blog on Canadian Energy Issues. And Areva notes Rod Adams comments in Areva's own blog. Meanwhile, Next Big Future has hosted the Fifth Carnival of Nuclear Energy, with links to posts about Republican Energy Strategies and advanced nuclear systems. Worth a look! Charles Barton has posted the Fourth Blog Carnival of Nuclear Energy at Nuclear Green. Barton named this Carnival The Vermont Freak shows, and he covers our recent one-gallon-water-spill-equals-giant-oil-spill craziness from several different viewpoints. Barton also pulled together wonderful blasts from the past. The problem with blogging is that tomorrow there's a new blog. The best and most careful analysis can vanish like a soap bubble. Barton has gathered links to some of the more important blogs of the past, including economist David Bradish's powerful deconstruction of Amory Lovins arguments that nuclear is too costly. Bradish blogs at NEI Nuclear Notes. Charles also includes a political cartoon in favor of thorium energy, by cartoonist Pyar Anderson. As Anderson says in his description of the cartoon: Heavy investment in Thorium energy would staunch the energy crisis, blunt the fears of nuclear proliferation, reduce nuclear waste, and conceivably put nuclear power in vehicles, even. Thor knows it. I believe that political cartoons are very powerful, and I would like to see more pro-nuclear cartoons. Right now, the PopAtomic Studios group is making nuclear-themed art. A recent post shows how PopAtomic is moving nuclear art into the mainstream. Is there anyone who can do this for pro-nuclear cartoons? While there have been occasional pro-nuclear cartoons in the mainstream, I don't think we should wait for established cartoonists to come around. Great Job, Charles, in putting together a fascinating Carnival! A Gallon of Water and Calls for a Shutdown: Vermont's BP! As reported in the Seven Days blog (and elsewhere) some water with tritium leaked from a pipe at Vermont Yankee. The leak contaminated a one-foot radius of soil, and was perhaps one gallon of water. Then the leak was found and fixed. The pipe from which it leaked is only used at plant start-up. Naturally, some lawmakers are calling for an immediate shut-down of the plant. Peter Shumlin is more "moderate" and wants a three- month shut-down while they reroute lots of piping. Now Shumlin is an expert on power production methodologies? He learned that Germany doesn't get "30% of its juice from solar" and he's making rapid progress on the technology front. Fine. This is exactly what I would expect. "Every trickle is seen as a torrent" as a friend of mine put it. What I simply cannot stand, and am actually too angry to blog about, is the comparison of this incident with the Gulf Disaster. Speaker Shap Smith said one lesson from environmental disasters like the oil spill in the Gulf of Mexico is to prevent them before they happen. Replacing the pipes at Vermont Yankee would stop more leaks from occurring, he said. "We've already seen the consequences of what happens when you don't take care of the piping," said Shap Smith, referring to earlier leaks at Vermont Yankee. You can watch Vermont legislators making these kind of outrageous statements in a WPTZ video. They claim that one gallon of water, and two pick-up trucks of contaminated soil near an earlier leak...they claim that these things are the equivalent of the on-going disaster in the Gulf. People who say things like that are just beyond reason. I'm sorry. I simply can't express myself strongly enough on this matter. The Gulf is an environmental disaster. A leak within the plant boundaries is pretty much a non-event. That's all there is to it. Only a crazy person would say the two types of things are the same. I usually don't call the opponents of the plant "crazy." I assume they have their issues and they have their reasons. Once in a while, however, some of the opponents cross the boundary of sanity. People who compare in-plant leakage of small amounts of radiation with the Gulf disaster are crazy. 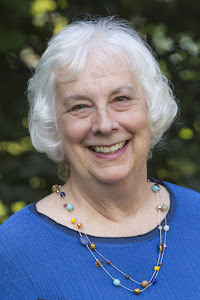 And a thank-you to Rod Adams for his post about Vermont legislators, and for describing me as a gentlewoman! Note: I will be out of town for a week, starting tomorrow. Blog posts will be infrequent, I suspect, but I will do my best to be responsive about comment moderation. I wrote a letter to the editor and it was published yesterday in the Valley News. In some ways, my thoughts on this topic are a continuation of my thoughts about the strontium-containing fish from yesterday's post. I'm thinking about the Gulf more and more these days. I think about the time I spent there in the geopressured-geothermal areas. I think about what's happening now. We're all thinking about the Gulf. How can we ignore a tragedy of such magnitude? Here's my letter to the editor and supplementary material. The Deepwater Horizon drilling rig explosion did not have to happen. I have some experience with geothermal drilling, which uses similar technologies to those used in oil and gas drilling. One of the most important men on a drill site was the Mud Man. He was responsible for formulating a drilling mud which matched many important and sometimes contradictory requirements. The mud had to be heavy: the weight of the mud kept the pressure on the bottom of the well, and the heavy column of mud was the first line of protection against blowouts. The mud also had to flow easily: the consistency of the mud must allow it to circulate and bring up the cut rock from the drilling. If the mud didn't circulate the drill bit could freeze up amidst its own cuttings. The mud had to be capable of withstanding the pressure, temperature, gases, and chemistry of that particular well. It took years of experience to be a mud man, and nobody on a well-site argued with that man about how to formulate or use the mud. On this rig, it looks like the owners felt they could overrule the mud man and other experts, despite all kinds of problems showing up with the well. They ordered the mud man to substitute light seawater for heavy mud. They didn't take the care necessary for switching from drilling to production. Technical people objected, but BP put "completing the drilling" ahead of the structural integrity of the very platform they were standing on. I like to give people benefit of the doubt when an accident happens. Not in this case. People died and ecologies will be affected for many many years. Some background: In the hours before the blast, the drillers and the BP "company man" had this disagreement, reported in the Wall Street Journal. Mr. Brown said Transocean's crew leaders—including the rig operator's top manager, Jimmy W. Harrell—strongly objected to a decision by BP's top representative, or "company man," over how to start removing heavy drilling fluid and replacing it with lighter seawater from a riser pipe connected to the well head. Such pipes act as conduits between the rig and the wellhead at the ocean floor, and carry drilling fluid in and out of the well. It wasn't clear what Mr. Harrell objected to specifically about BP's instructions, but the rig's primary driller, Dewey Revette, and tool pusher, Miles Randall Ezell, both of Transocean, also disagreed with BP, Mr. Brown said. However, BP was in charge of the operation and the BP representative prevailed, Mr. Brown said. "The company man was basically saying, 'This is how it's gonna be,' " said Mr. Brown, who didn't recall the name of the BP representative in question. Mr. Harrell "pretty much grumbled in his manner, 'I guess that is what we have those pinchers for,' " Mr. Brown testified. He said it was a reference to the shear rams on the drilling operation's blowout preventer, which are supposed to sever the main pipe in case of a disaster. The blowout preventer failed to stop gas from rising to the surface, causing the explosion, BP has said. Mr. Harrell hasn't testified and declined repeated requests for comment. Donald Vidrine, listed on Transocean's documents as BP's "company man" on April 20, couldn't be reached. Mr. Revette was among the 11 workers who were killed. Bill Irwin made the above statement about the Connecticut River fish. He is the radiological health chief in the Department of Public Health in Vermont. "It's clearly consistent with the background levels from Chernobyl and weapons testing that went on until 1965." Similarly, a consultant in radioactive testing, John Till, president of South Carolina-based Risk Assessment Corp. said that the amounts of strontium were too tiny to be a concern. Remembering that a pico is a trillionth of a curie, "tiny" is indeed the correct word. If there had been 1000 picocuries per kilogram, we would have a billionth of a curie per kilogram in the fish's bones. Thank heavens, there were only 59 picocuries. 59 trillionths! Whew! As I investigated, by the way, I realized that the confusing sentence about picocuries in fish bones was correct. The reporter referred to picocuries per kilogram of bone. Similar measurements of radioactive strontium in fish from the Hudson River ranged from 200 to 270 picocuries per kg of bone, while measurements of strontium in the flesh ranged of those fish ranged from undetectable to 8 picocuries per kg. In a rational world, the story might end there. There are incredibly tiny amounts of radioactive strontium in the fish. Three professionals, one from Vermont, one from New Hampshire, and one from a consulting company, said the equivalent of: "Don't worry about eating the fish. The fish are fine." The amounts of strontium are consistent with background radiation from old atomic testing. However, that would have been a rather one-sided story, so the enterprising AP reporter called Helen Caldicott at her home in Australia. We all know what Caldicott said: Be afraid. Be very afraid. However, I must give one of Caldicott's statements some respect. Irwin said they hadn't been testing the fish in the river until recently, and Caldicott said that since this was the first fish they tested, they didn't have a baseline for comparison of strontium in fish. Caldicott's implication was that the plant is leaking strontium like crazy. Nevertheless, she was right about the baseline. You don't have a baseline when you catch the first fish, and that's a fact. Getting a baseline for radioactive strontium in fish due to fallout. How hard can it be? I have access to Google. I decided to try. Update: Arnie Gundersen feels the fish "raises a lot of concerns." A great blogpost, Blinky, on this fish story in Capacity Factor. How hard can it be? Very hard. The first thing I noticed is that most of the strontium-in-fish stories were repeats of the same AP story that I referenced above. Google "advanced search" came to the rescue. I looked for strontium in fish without the word "Vermont" in it, and I got some moderately useful results. The first was the one listed above: fish in the Hudson, near and far from Indian Point. 200 t0 270 picocuries per kilogram in the bone, less than 10 picocuries in the flesh. Then there was an entire set of literature about tracing fish lives through the strontium in their ear otoliths (who knew?) Turns out that natural strontium isotopes vary in different areas, and you can trace a fish's migration by the measuring the isotopes in the layers of strontium in its ears. I also learned that strontium is necessary for reef building organisms, and you can buy strontium to add to your advanced aquarium. Similarly, I learned that fish segregate strontium to their bones and their scales, parts of the fish that we rarely eat. Unfortunately, there really does not seem to be baseline measurements of radioactive strontium in fish. I found fish measured in the Hudson River near Indian Point. I found warnings about removing the bones from fish from the Savannah River before eating them. I even found an article about fish in the Chernobyl exclusion zone. In other words, nobody measures the radioactive strontium in fish unless there's some reason to believe there might be some radioactive strontium in the fish. Or as my friend Howard said: "Why don't they measure some fish from Lake Champlain for a baseline?" I agree. 90Sr is found nearly everywhere in small amounts from past nuclear accidents and fallout from nuclear explosions. You can be exposed to low levels of 90Sr by eating food, drinking water, or accidentally eating soil or dust that contains 90Sr. Food and drinking water are the largest sources of exposure to 90Sr. Because of the nature of 90Sr, some of it gets into fish, vegetables, and livestock. Grain, leafy vegetables, and dairy products contribute the greatest percentage of dietary 90Sr to humans. The concentration of 90Sr in fresh vegetables grown in the United States is less than 9 pCi (or 0.3 Bq) in 1 kg of dried vegetables (in a hot oven). The intake of radioactive strontium for most people will be small. In other words, the picoCuries of strontium in fresh vegetables (less than 9 picocuries per kilogram) is about the same as in Hudson River fish (less than 10 picocuries/kg in the flesh). Fish are not a source of radioactive strontium in the diet. This "radioactive" fish was truly Much Ado about Nothing. I wasted my time with fish ear-bones and picocuries. There is no baseline for strontium in fish, but considering the tiny amount of radioactivity present, there probably doesn't need to be a baseline. There's less radioactive strontium in fish flesh than in fresh vegetables. In either case, we are talking about less than ten trillionths of a curie. (1o picocuries). Meanwhile, the entire Gulf of Mexico is being contaminated by carcinogenic, toxic oil. Fisheries are being wiped out and may not recover for decades. I don't like to knock other technologies (nuclear good! everybody else bad!) There's no free lunch, and everything has its downside. And yet, when I think of the truly horrible devastation in the Gulf, I wonder how Vermonters can waste time and energy on the picocuries in this fish. I imagine myself back in geothermal energy, at the geopressured zones near Houston. I remember eating the most magnificent seafood I have every had in my life. Houston has restaurants that serve seafood Cajun style, French style, Japanese style. Every style. You name it. That is a city where they know how to cook fish. Is that world gone forever? And all the people who made a living at catching fish and cooking it and serving it in little tiny restaurants or fancy white-tablecloth restaurants. Is that world gone? Has our thirst for oil destroyed it? I believe that more nuclear power and less oil and gas drilling would be a very good thing for the world. Postcard image from the Safe and Green Campaign, aka the Anti-Vermont Yankee walkers. I think the image is supposed to show that Vermont Yankee is ripe for a disaster. To me, it shows that so many other disasters have happened, and all Vermont Yankee has done is release a small amount of radioactivity to the ground within the plant boundaries.